The Rolex Kentucky Three-Day Event, Presented by Land Rover will feature a special concert- Hunter Hayes & Friends - followingSaturday's Cross-Country. Known as the "Best Weekend All Year," Rolex Kentucky takes place April 28 - May 1 at the Kentucky Horse Park. Hayes, a 5-time GRAMMY nominee whose hits include his most recent single "21" and the No. 1 smashes "Wanted," "Somebody's Heartbreak" and "I Want Crazy," will perform at the Alltech Arena at the Kentucky Horse Park in Lexington after the completion of the Cross-Country phase on Saturday, April 30. Doors will open at 4:30 p.m. and the first act will go on at 6:00 p.m. (EDT). 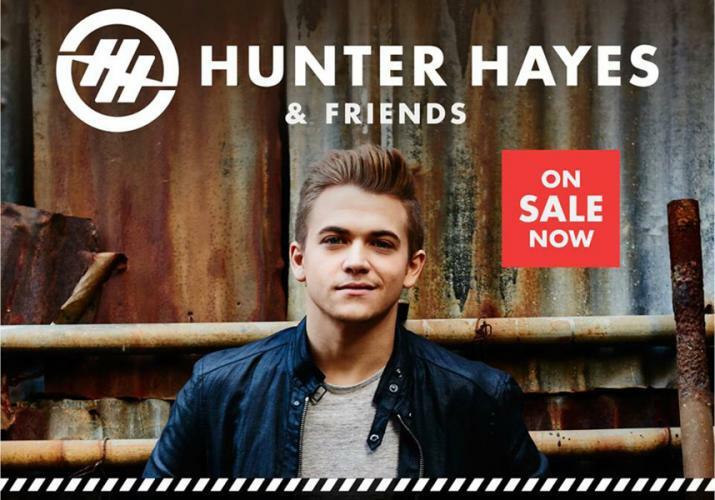 To purchase tickets to the concert, please visit the official Hunter Hayes website atwww.hunterhayes.com, click on the "Tour" section and select the April 30, 2016, concert date. The Rolex Kentucky Three-Day Event is the nation's premier Three-Day Event and one of the most prestigious equestrian competitions in the world. The Fédération Equestre Internationale (International Equestrian Federation - FEI), the world's governing body of equestrian sports, has designated the Rolex Kentucky Three-Day Event as a 'Four Star' Eventing competition, the sport's highest designation, which is given only to the Olympic Games, World Championships, and six annual events around the world. "Rolex Kentucky" is the only Four-Star event in the Western Hemisphere. Ticket sales to 2016 Rolex Kentucky are available at www.RK3DE.org, with options that include four-day, three-day (Fri-Sat-Sun) and single-day general admissions, group sales and tailgating. All grounds admission tickets include parking, admission to the Kentucky Horse Park and International Trade Fair.Tickets for the Hunter Hayes and Friends concert taking place on Saturday, April 30 beginning at 6 PM at the Alltech Arena may be purchased on Hunter Hayes' website www.hunterhayes.com. Please go to the website and click on "Tour" at the top of the landing page, then click on the link to purchase tickets for the April 30, 2016 concert.